It’s always exciting to help families buy real estate in Summit County, Colorado. I find it very rewarding to see the eager looks on my clients’ faces as they discover the homes that are perfect for them. Finding and purchasing a home for sale in Summit County is the experience of beginning a new chapter in your life and that is thrilling in itself. However, while there is often an unmistakable pleasure in having a new home, you still need to keep a calm head. When emotions slip into the mix, good judgment may get pushed to the side. That’s why I want to focus this blog on things you should consider before signing a sales contract on your next piece of property. You may have been instantly drawn to a particular home because of its location, physical appearance or size. But every time you’ve visited, it’s been around the same time of day. It’s a good idea to visit the property at various times of day to make sure you aren’t moving into house that gets too much–or too little light–for example. Seeing how the home appears during the day and night are both important. Visiting in the morning and evening can also give you a feel for how the neighborhood operates. By this time, you’ve probably had the home inspected and put a lot of consideration into making an offer. But you might not have all of the information that’s available. It’s smart to research the home from as many angles as you can. Find out if there’s any history you should know about this address. You may also think about checking with the town or county to see if any proposed projects are in the works that might affect your quality of life in this home. Realtors have to disclose all facts about the sale, but the homeowners don’t in some cases…so it pays to dig around a little. One of the best ways to find out important information about the community and the area you’re looking at is to speak with the neighbors. You can learn many useful details just by having a quick conversation. Find out how many people in the vicinity own versus rent their homes. Ask if there are ever neighborhood gatherings such as block parties. When you talk with your surrounding neighbors, you’ll also have the chance to evaluate whether or not you think you’ll get along. Many buyers only think about the home’s sales price when they budget for a new property without considering other costs. I always advise my clients to request past bills and records so that they don’t receive an unwanted, financial surprise after settling into their new home, like a huge heating or cooling bill. Learning the amounts that have been paid for utilities, taxes and even some home improvements will give you a much better sense of the costs of living at a particular address. 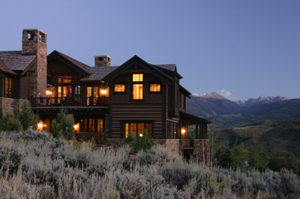 There is so much to consider when buying Summit County real estate. It’s a serious decision and deserves to be examined from every angle…but you don’t have to navigate the process alone. I invite you to contact me at any time to discuss the process and make sure you will end up in the perfect home for you and your family. I’m always happy to put together a list of properties that might meet your needs, and you’re always welcome to look through the updated listings on my website any time. When you’re ready to discuss your options or prepare for showings, contact me at any time via email ([email protected]) or on my office line. I look forward to working with you!